In what probably is the last train stop of opposition to California’s high-speed rail project, today the California Supreme Court refused to hear a case that could have stopped it. The case, by Kings County and two local landowners whose property would be bulldozed for the project, objected that the Legislature had altered the project from the clear language of Proposition 1A in 2008, which authorized $8.6 billion in state bonds for the project. Actually, what it affirms is what I’ve said all along: The project exists to spend the $8.6 billion in bond money, plus $3.5 billion in federal moolah from President Obama’s 2009 economic stimulus program. Total: $12.1 billion: so much money the state’s political establishment — from the governor’s office to legislative leaders to the high court — was not going to let it remain unspent. But that’s all that will be built. The project promised more federal and private support, but none will be forthcoming. No private investment firm would pour money into this tracked turkey. And the Republicans who control the U.S. House of Representatives — and who likely will control it at least until 2019 — won’t drop a penny on this track. A major opponent is House Majority Leader Kevin McCarthy, R-Bakersfield. I love trains….better than solar and wind power….hands down…..
Look….you can get lots more junk mail….Amazon can zip stuff up and down the state super cheap. Madera becomes maybe an aggie themed spa town. Maybe someone finds UC Merced. Giant housing cells along the tracks provide affordable housing for tech moguls’ sweat shops. The ruling class generally gets whatever it wants at the end of the day, even if it has to break some laws or violate the constitution in the process. It all comes down to interpretation. And it’s the ruling class that does the interpreting. Screwed again! I warned everyone when the lower courts ruled against the crazy train. I told you not to get too excited. That you were setting yourselves up for disappointment. Power settles everything. The state infrastructure is falling apart and they spend our money on a crazy train. This is like living in a Gene Wilder movie. The frisky part of me hopes that they succeed getting it started. It will NEVER be finished. It will stand tall as a monument to liberal idiocy, rusting in the Central Valley for generations. Better yet, it will be the operating ghost train to nowhere, almost devoid of riders — at astronomical cost per passenger mile. Go for it! CA has a FAR less dense population than Europe, Japan, or China, making such trains impractical. And our version won’t even be high speed — just a train. It will never even HIT 220 MPH, let alone average that promised speed. Not even close. The construction cost will be far higher than claimed, so less will be built. And the ridership will be a tiny fraction of what’s was projected in support of 1A. And the promised coverage south of LA will never be built (even proponents now admit this). Governor Brown ET AL are obsessed with choo-choos. Billion will be made by the vendors who financially backed this madness. Funny — the Left that hates big business profits has zero problem with this crony capitalism gravy train to nowhere. 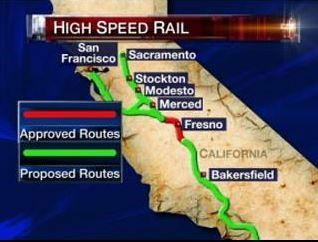 I can only hope the upcoming lawsuit regarding the lack of “high-speed” in the High-Speed Rail project is upheld. If not, there is no reason to use taxpayer dollars to support the brain-dead, bought-out CA Supreme Court. This has been my argument from the very start. And it’s a very practical one.  Today I can buy a RT airline ticket from LA to San Franciso for $140. It’s a one-hour flight both ways. The cheapest RT Amtrak fare from LA to SF that I could find was $120. And that’s a lousy coach seat in the migrant section for a 12 hour trip! lol. Have you ever ridden on a bus/train combo for 12 hours? I have. Trust me. It’s no fun. Now imagine how much a high-speed crazy train RT fare would cost you for the faster train that would STILL take 4-5 hours from LA to SF. Minimum $220. Minimum. Now, would you rather take a RT total travel time of 2 hours for $140 or a RT to the same place pay for $220 w/ a total travel time of 8-10 hours? Duh? I could understand if you’ve never traveled long distances by train. The first time is a novelty. But your first trip would be your last. Trust me. Been there. Done that. So just on a PRACTICAL level the crazy train concept will NEVER work out. Until they can design a train that could get you from LA to SF in 2 hours or less for the same price as an airline ticket – it can’t succeed. The current concept is a failure waiting to happen. The purpose of the project is not to improve your transporation system. It is quid pro quo to reward union labor and the sugar daddy corporations that will build the crazy train and lay the track. The BT will evolve doomers and the doomed. Passenger service a small revenue stream. We all know this fact. Less Than Carload freight is growing beyond belief. This stuff can be moved in huge quantities to regional and urban distribution centers safely, cheaply and in rapid fashion. Flying LTL is limiting for massive amounts of goodies due to congestion in airports and their Brady Bunch archaic distribution systems. Again, would you rather travel from LA to SF for about $70 one-way air with a travel time of 1 hour, or would you rather pay $120 (or more) for a one-way fare on the crazy train for a 4-5 hour trip??? DUH???? Ulysses Uhaul inadvertently presents the solution to the HSR problem. Visionaries like himself (if I understand his turgid writing) know that freight will be the primary revenue source for the mislabeled “bullet train.” He’s inferring that it actually will be (LOL) PROFITABLE. OKAAAYYYYYYYY. Here’s the deal: Let these people having hallucinogenic visions (self-proclaimed visionaries) fund the HSR project with THEIR money. Let THEM make the loans, not taxpayers guaranteeing bonds. Plus banks will be clammoring to lend money Have the HSR Authority convert into a profit-making corporation — going public with a stock offering. Surely UHaul will get out of the money-losing UHaul business and shift his ownership to HSR. Then the money will come flooding in — he and his fellow transportation will be rich beyond measure! OKAAAYYYYYYYY. Let’s make a deal all can agree makes sense: Let these people having hallucinogenic visions (self-proclaimed visionaries) fund the HSR project with THEIR money. Let THEM make the loans — not have taxpayers guaranteeing bonds. Plus banks doubtless will be clamoring to lend money (because it’s going to be so profitable, of course). Have the HSR Authority convert into a profit-making corporation — going public with a stock offering. Surely UHaul will get out of the money-losing UHaul business and shift his ownership to HSR. Then the money will come flooding in — he and his fellow transportation gurus will be rich beyond measure! Thks for insulting old Ulysses……..they build freight cars daily in the world……one passenger car and five freight cars…about right. Reddy Ryder…….the train is a done deal…..relax buddy…..you lose election after election with Merlot candidates….dah……even the low info voter knows doomers need ruled……due to political incompetence. Uhaul, you don’t know much about trains, do ya? lol. Bullet trains aren’t used to haul heavy frieght. It’s not economical or practical for them to do so. Think fuel! Bullet trains haul people. Oh, they might carry some mail or parcels. But that’s about it. Your claim that bullet trains will pay for themselves by hauling freight is one of the silliest comments I’ve seen on these boards. The crazy train in California is a designed failure. None of it makes any sense. It’s impractical. And I told you why in my aforementioned comments. The moving business is honest and lucrative…..I’m surprised we haven’t move all the doomed yet to Skunk Hollow, West Virginia……sign up guy….we have specials this month on Bulgarian two sided tape….one side says “left” and the other side says “forlorn”. There will be many days of CWD tintilations of the ruled about the slow moving BT…..pace yourself buddy…..it’s a reality. Have you ever heard of airplanes before? Flight time from LA to SF 1 hour. Crazy train time from LA to SF 5 hours. Do the math. Did you know that FedEx has their own fleet of aircraft? Why would they use a crazy train? Besides, The crazy train is not a freight train. Let that fact sink in and stick. Crazy trains are for subpar IQ passengers who can’t calculate travel times or compare travel fares. LAUSD grads. I Loved this thread– Collapsy you were shut down every time you raised your poorly informed head! Maybe you have finally prolapsed? Can hardly wait to see all that high value freight moved efficiently saving carbon waste in California. I bet Brown gets some type of Noble Prize or something……so richly deserved. A Nobel Surprise for our great Gov? Yes, I admit it has crossed my mind. He balanced our budget, stopped our crazy spending, fixed our pensions, gave us mass transport, brought our economy back……etc……I mean geeeezo this guy is good and a Nobel? Yes I see it…..
On another note—- in all seriousness, I understand there is serious talk about adding President Obama our first AA President to Mt Rushmore. I am all for it and will spend the rest of my life tirelessly pushing for it! The California Supreme Court’s decision to let stand an appellate court ruling that cleared some short-term obstacles to the state’s $68 billion bullet-train project is a huge disappointment. It makes it seem inevitable that up to $6 billion in available state and federal money will be spent on the project’s initial Central Valley phase. That segment is likely to be an incomplete white elephant, with no source of new money after the $6 billion is spent beyond token annual funding from the state’s cap-and-trade pollution tax. But all hope is not lost — and the source of this optimism is the appellate court ruling that the state high court in essence upheld. That July ruling overturned a 2013 decision by Sacramento Superior Court Judge Michael Kenny that the state could not proceed with the sale of bonds for the project because it wasn’t complying with the requirements of Proposition 1A — the 2008 state law authorizing the sale of state bonds for the project. Kenny said the state hadn’t firmly identified where it will get the additional funding (about $25 billion) it needs to complete the 300-mile initial operating segment, which in theory could be viable on its own — as required by Proposition 1A — if further funding to complete the rail network couldn’t be secured. Kenny also held the state hadn’t completed adequate environmental reviews. These protections against precipitously spending bond funds may be swept away by pressure from Gov. Jerry Brown. But after the new business plan is in place, a judge is going to say it’s no longer premature to insist the state meets the legal obligations cited by Judge Kenny and confirmed by the state appeals court. At least, that’s what rational people have to hope. That was not nice at all to call Mr. Uhaul (a job creator by the way) “clueless”. How would you feel if he disrespected you in such a fashion? You’ll note that he never does. He writes with dignity. I suggest that a good commenter like yourself does not fall into the trap that several posters fall into out here of rudeness. Carry on my wayward son…..
You’ll notice that any rudeness I create is only ever a response to previously generated rudeness by one of the child bullys out here.